Red Rubber Inspirations: Merry Christmas 2013! It's been a busy holiday season so far for Red Rubber Designs! First I want to thank everyone who submitted their application for the Red Rubber Designs Inspiration Team - there was such a wealth of talent to choose from! It was a difficult decision to pick just a few. But choose we must and now I have the pleasure of introducing our new Team! Of course, you remember Lynda Lindley, our new Inspiration Team Champion. She has done a tremendous amount of work getting us ready for 2014. I couldn't do it without her! You can also find her on her blog: Positive Force. I am so excited to have these ladies on my Team! We'll tell you more about them in January. Beginning on Thursday, January 9, 2014, we're introducing a new challenge blog: Red Rubber Inspirationals - right here on the Red Rubber Designs blog! And our mission statement should sound familiar: Enabling and inspiring YOU to create art! We want to inspire you to pick up your stamps and USE them. We want you to know that any and every style of creating is unique and OKAY - that there is no "right" or "wrong". 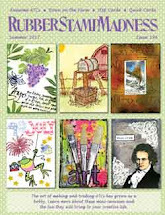 We want to show you that yes, YOU can create something beautiful with rubber stamps! Won't you join us? We'll have lots more information and additional details in early January, so be sure to check in then! 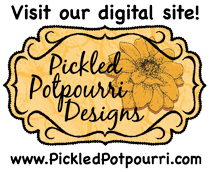 I also want to remind you of the HUGE Inventory Blowout Sale going on now at Red Rubber Designs - designer paper, card stock, embellishments, tools and more are at least half off their already-low prices. Many items have already sold out, so don't delay as this is a fantastic opportunity to stock up on those crafty items you need. And did you see? There are some new Cling Mount Rubber Stamps in the store, and we have a new Spotlight Stamp (at 40% off the normal price). There are also quite a few stamps on clearance. This is the last time these designs will be available in rubber, so get them while you can! I want to wish all of you a very Merry Christmas and a joyful holiday season! Welcome, welcome, welcome to the new design team!!! So very excited to be working with each of you and excited to start our Inspirationals journey in 2014!!! Happy holidays to all! Congratulations, new team! Can't wait to see your Inspirational Challenges in 2014! I'm so excited to be working with all of you on the design team. I'm thinking with this team, we are going to rock out some serious inspiration.